We, Clean Air System, established in 1991, have been leading the market as one of the well-known manufacturer, exporter and supplier of Air Cleaning Systems. 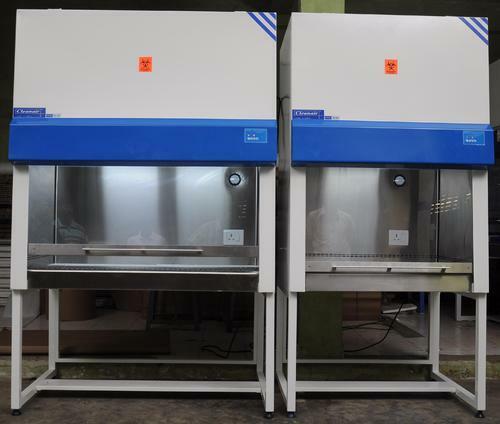 Our company has flourished in the market because of some reliable and strong products such as Laminar airflow, Bio Safety Cabinet Class and Clean Room Pass Box. The company ensures the application of the optimum quality raw material selected wisely for enhancing the performance of the products. The modern and advanced technological support grants the products with unmatched sustainability and ability to perform effective in unsuitable environment. In addition to that, the company has guaranteed proper customization of products, to meet the latest and exact demands of the esteemed associates. We export our product range all over the world. Our company has developed cost effectiveness in every product as they involve low or no maintenance and are available at competitive prices in the industry, which enables the company to sustain long term relations with customers. Furthermore, the company has always operated in an ethical manner to exceed the expectations of the clients.